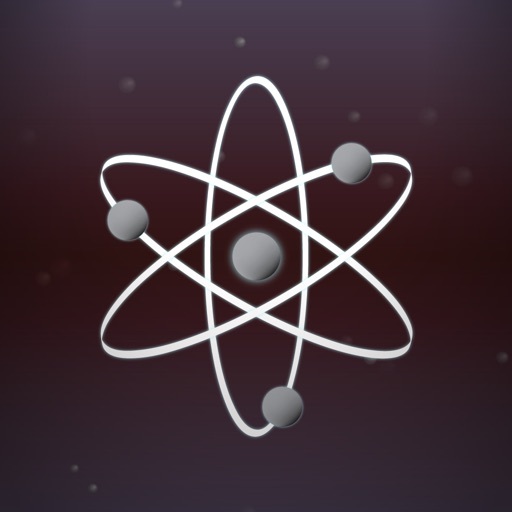 Download Atoms GO! free via AppsHawk. 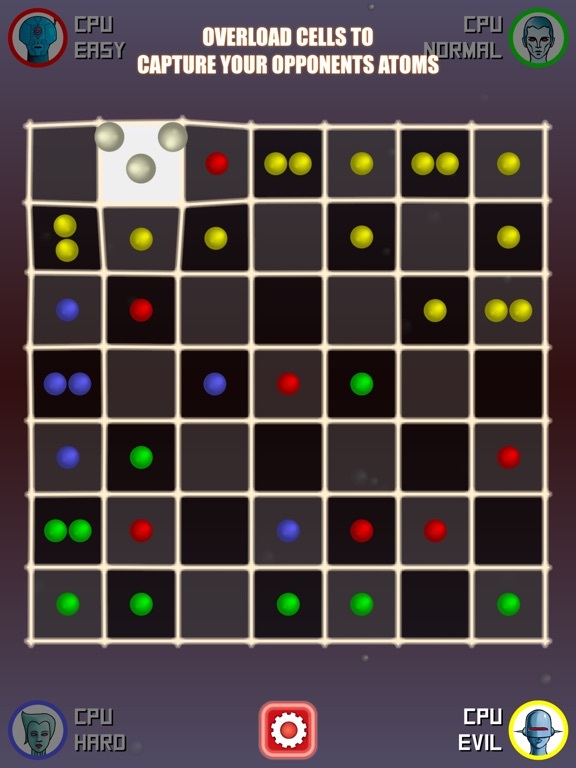 A fast moving, highly addictive turn-based strategy game for 1-4 players. You won't be able to put it down! 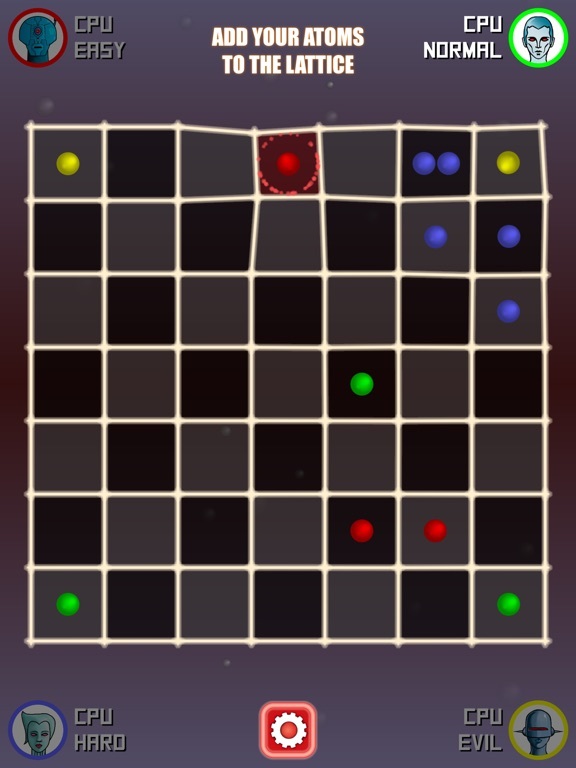 "Simple concept, mesmerizing graphics, totally addictive." 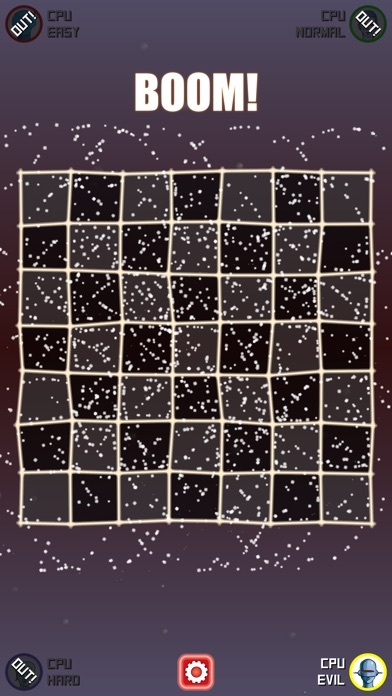 Place your atoms on the grid but - move carefully! - they will overload and explode if too many are placed together! 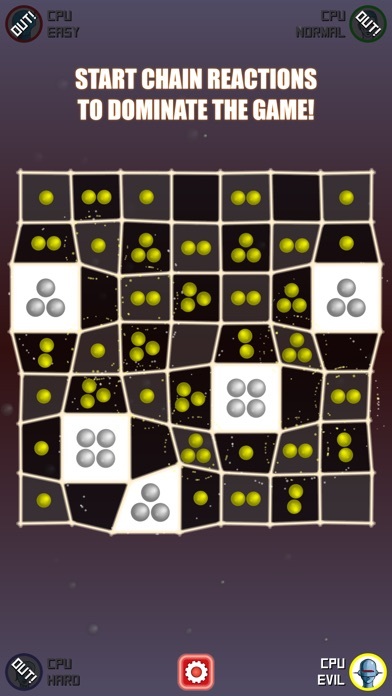 Strategically balance risk and reward to capture your opponents' Atoms in a chain reaction explosion while protecting your own from counter attack. Last Atom standing is the winner! 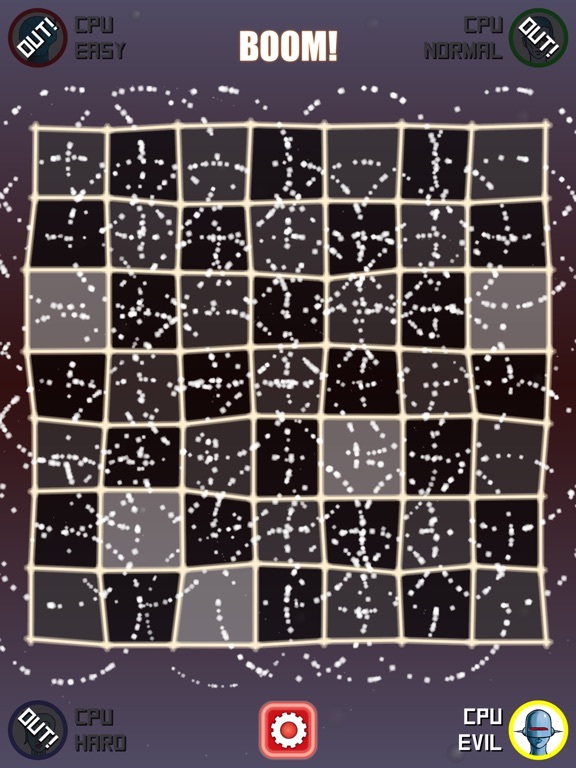 A modern day remake of the "Exploding Atoms" retro game from 1980, and still as addictive as ever. 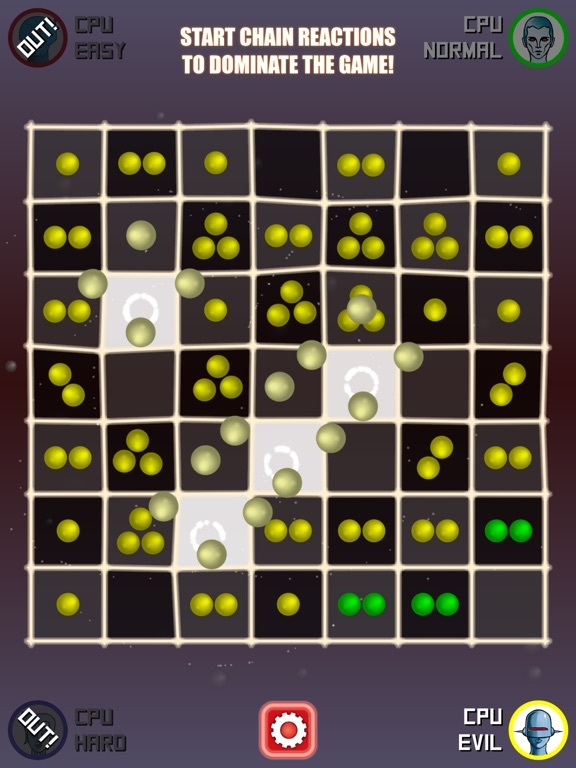 Atoms is simple to learn but hard to master, with similarities to classic board games like Othello, Reversi and Go. 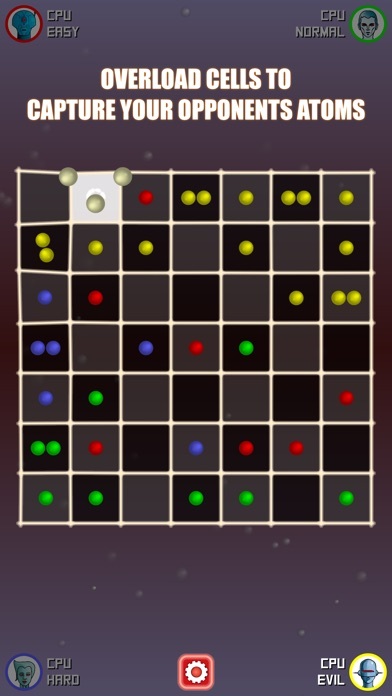 * Face the super tough computer opponents in single player mode. * Four levels of AI. Can you defeat CPU SUPER? 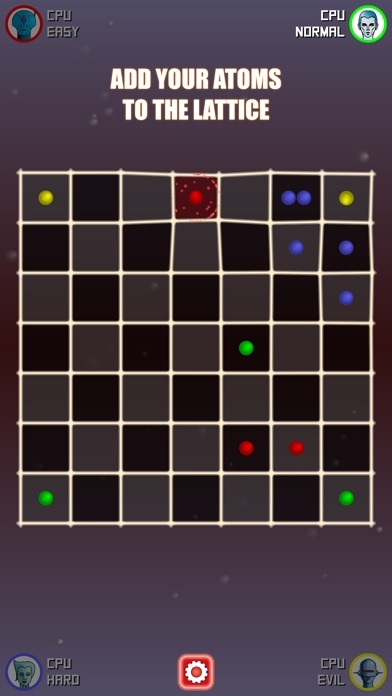 * Hypnotic animated playing grid! "I love love love this game. Can't get enough of it!" "Worth playing friends for the shouts of panic when the board flips on a single chain-reaction!" "Atoms is awesome! Chain reactions are awesome!" "Forgot my iPad. Can't play Atoms. Worst day ever."